A little about my little Gwen and who she has become in the past 9 months. She's such a sweet and cheerful little person, I'd like to share her with the whole world! Proud mom moments aplenty. About being Norwegian and living so very far away from home. What I miss, what I don't, and how I make our house a tiny little outpost from home. There would be a lot about food and technology in this one. About our new house! A few of the rooms are together enough that I'd be happy to show them to you, and you would wholeheartedly forgive me for not having all of my ducks in a row just yet. About our little first townhouse, that we are getting ready to sell. Oh my sentimental heart, and oh, my financially practical self in full conflict mode. And here I would write a lot about how stinkin' hard it is to get a good days work in with two small kids in tow and when everyone insists on getting sick on the weekends. But in a fun way! More about my dad and the whole grieving process. It takes time and hurts and is hard. And lonely. 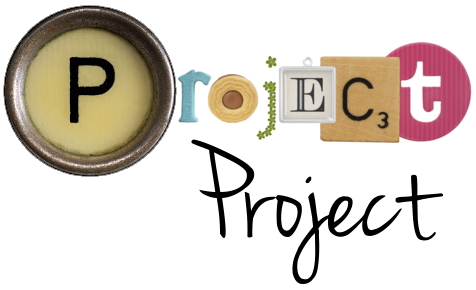 And I'm all sorts of conflicted about posting about it on my blog, when I've always wanted Project Project to be a positive place to come. But then I've always wanted to be honest and real about things too, and it's tricky to know which credo to live by. Do I write real and honest posts about something that is really hard, even if it could make for a whole slew of downer posts, or do I just not post for a while, because so much of what my heart wants to deal with in writing is navelgazy and hard? What I can't do is maintain a sunny online persona if I'm not feeling it in person. I don't think you come here for that either. And on a different note entirely, I'd like to write about some parenting adventures we've had over the summer too: potty training, earning Fuzzies, allowing a little more freedom, preparing for preschool (eeep! ), some little crafty kid projects and a few thoughts about the second child. I feel like I have another navel-gazing post about finding my feet and readjusting to a new life in a new home in a new area in the works. This would be a mix of feeling a little at a loss not really having a lot of friends among our friends and neighbors, and some hopeful enthusiasm about the endless possibilities of it all! And I would be heartily impressed at Espen's ability to instantly make friends wherever we are. Oh, and I have a few new projects in the works that I'd like to tell you all about. One will have to wait a little longer, and the other might just be a bloggy book club. So these are some of the things I've been telling you about in my head all summer long. If there's anything in particular you'd like an actual blog post about, won't you let me know, and then just maybe. I'll feel inspired to write it? And more importantly, how are you, and what have you been up to? I really did miss you, you know. I'd like to hear more about Norway. Do they have awesome technology there or is that the part you don't miss as much? I'd like to hear about it all, but especially the new house tour, grieving your dad (I lost my dad young too), what Fuzzies are and how one earns them, and your thoughts on having a second child.